Bye bye September and hello October. The new month has bought with it some much needed rain however if you are hoping for sunshine by the weekend here are a few of my favourite things to do in Brisbane this October and believe it or not most of them are free. Brisbane Open House is a free public festival that celebrates Brisbane’s architecture and offers behind-the-scenes access to buildings across the city. Held on the weekend of October 7 and 8, the 2017 Brisbane Open House buildings list is vast and varied with over 90 buildings to explore. See the full list of buildings here and plan your weekend! Free fitness is back at South Bank Parklands. With the Medibank Feel Good Program, you can take part in a series of FREE outdoor fitness classes including yoga, cardio, bootcamp and more. Classes are held on Little Stanley Street and bookings are not required. See classes and times here. Festitalia is Queensland's official Italian festival in Brisbane and celebrates the richness of the Italian culture. Come and celebrate all things Italian on your doorstep! Enjoy wonderful food, wine, music and art and celebrate life, love and family. Tickets for adults are only $10, see more event details here. Sit back, relax and enjoy the sights and sounds of River Quay Green at South Bank Parklands every Sunday afternoon with FREE live music. This weekly event showcases the soft and smooth tunes of some of Brisbane’s best musicians, all set against the backdrop of the Brissie skyline. See upcoming performance dates here. 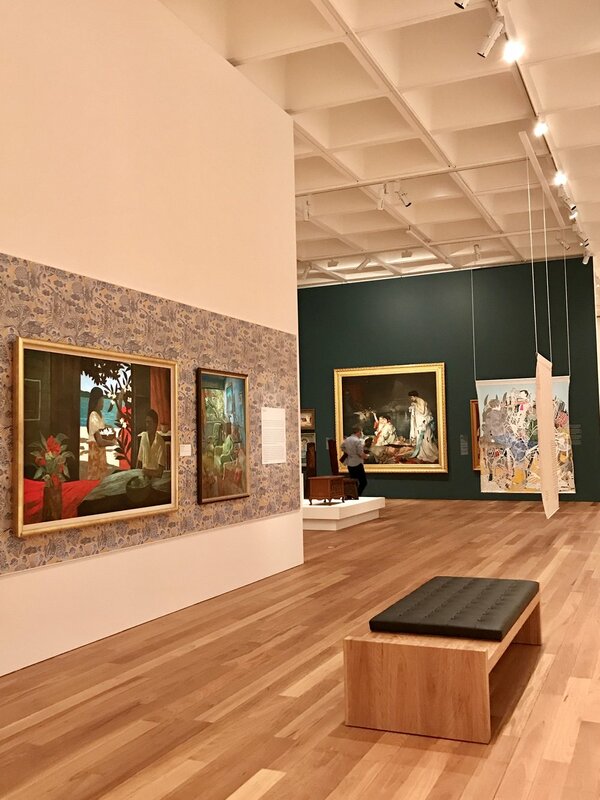 Visit the recently opened reconfigured space at the Queensland Art Gallery in the Australian Collection. See artwork collected over 120 years rehung in new and innovate ways. Visit the Queensland Art Gallery website here for exhibition details. Let me know what you get up to this October.